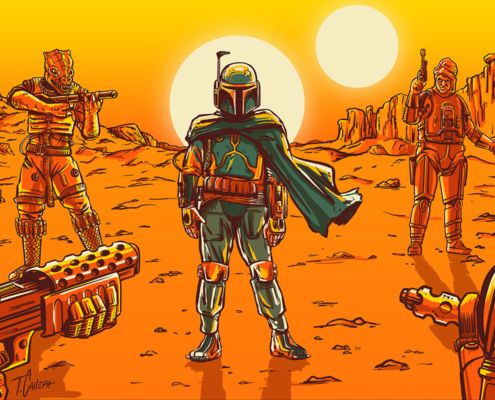 Asked to create a piece for the May the Fourth Be With Y’All charity art show; I was inspired by classic spaghetti westerns as well as the original trilogy. 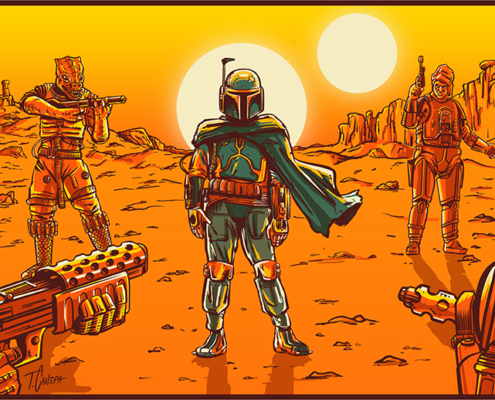 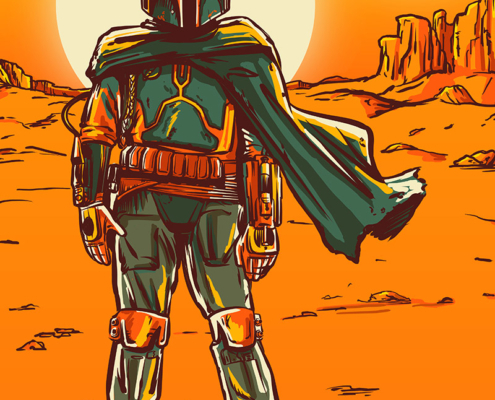 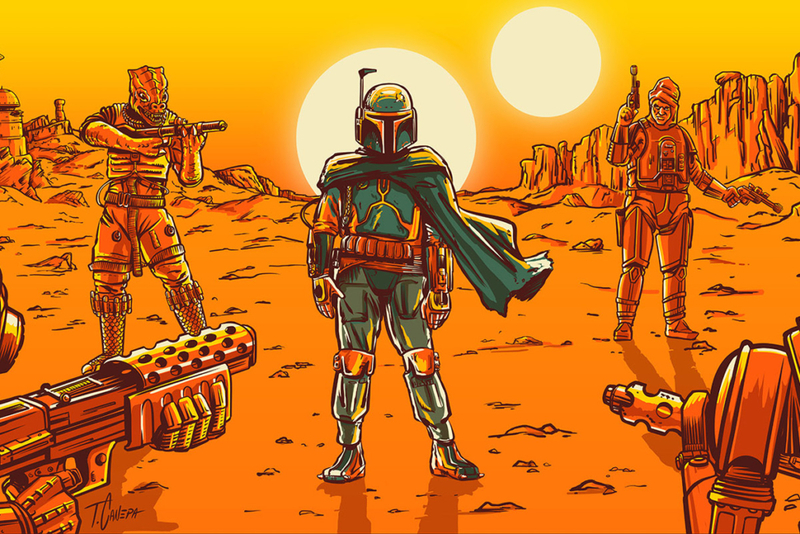 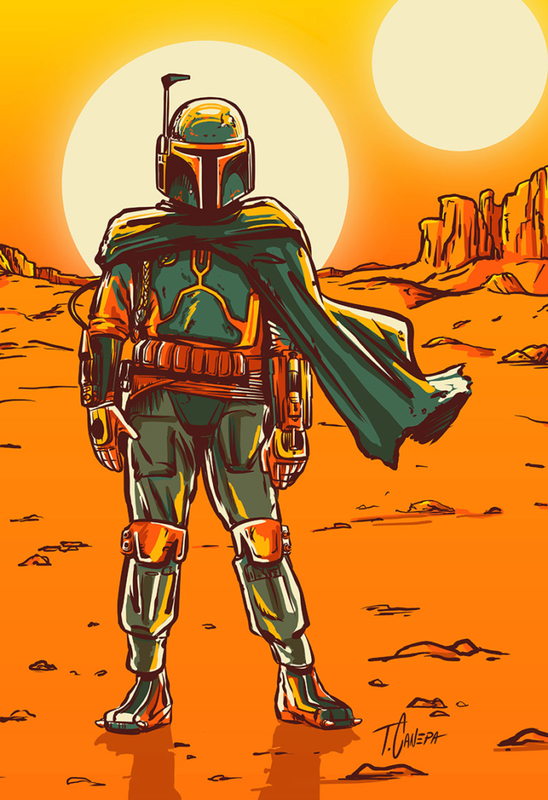 I tried to imagine what a frame of the Boba Fett western might look like. 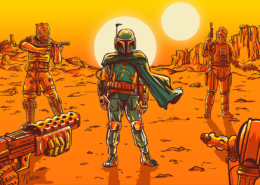 It showcases all your favorite bounty hunters from Empire, and shares the same 2.35:1 Cinemascope aspect ratio as that film and the Sergio Leone westerns.